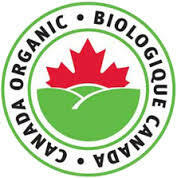 The Canadian organic sector takes allegations of fraud very seriously. In fact, this is the reason we approached the Canadian Food Inspection Agency in 2005 and asked for laws to regulate organic: so that consumers could trust the claim, and so that the possibility of fraud could be met with the full power of Canada’s public enforcement authorities. The government was surprised by a sector asking for more rules, more standards and more mandatory inspections than any other food sector is subject to. But since the introduction in 2009 of the Organic Products Regulations, organic is now the most scrutinized food system in Canada and is built on top of all other food safety and regulatory requirements. Quite simply there is no food product subject to more mandatory inspection, checks and controls than organic. The organic community in Canada is passionate about traceability and transparency. It’s why we started organic in the first place: we want consumers to know what’s in their food, how it was grown, where it came from, and the conditions under which it was made. This is important to us. This is organic to us. And our standards set strict restrictions and requirements around these criteria. Although these fraud allegations remain unproven, on principle we commend whistleblowers for their courage, and trust that the CFIA will investigate such allegations and take appropriate enforcement action to the full extent of its authority. Regulations and rules alone do not prevent fraud. The Canada Organic Trade Association has repeatedly called on the government to strengthen penalties and the power to suspend those who intentionally circumvent the organic standards and regulations. On behalf of Canada’s organic farmers and organic processors who work so hard to meet organic requirements, and the millions of consumers who trust the “Canada Organic” label, we demand full enforcement and rigour is maintained in the system. The organic sector remains committed to the integrity of the organic label in Canada, and to working with CFIA to ensure it means what it says.